Holly Owens focuses her practice on commercial loan origination and oil, gas, and mineral title examination. Prior to joining Kohm & Associates, P.C., Holly served as Senior Underwriting Counsel where she analyzed residential and commercial transactions and provided guidance for resolving title issues. 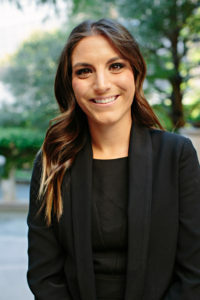 Additionally, upon graduating from law school, Holly worked as a petroleum landman and title attorney, where she gain extensive experience examining surface, mineral, and leasehold title and drafting curative instruments. Holly graduated with Honors from the University of Texas at Austin in 2008 with a degree in Government. She earned her Doctor of Jurisprudence from St. Mary’s University School of Law in 2011, where she was a Student Attorney for the Center for Legal and Social Justice, Civil Justice Clinic.